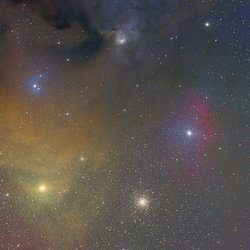 Antares Is shown here in pink. It is a class m red super giant and is the 16th brightest star in our galaxy. 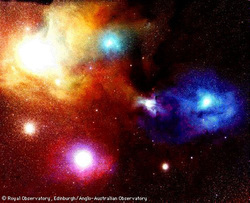 Antares lies in the constellation Scorpius 600 light years away. It is 15-18 solar masses compared to our suns solar mass of 1. It's radius is 800 times that of our sun's. Click the picture to view a cool website with good information!